I don't know if it's the warmer weather but I have the travel bug and can't wait to travel abroad again! I mentioned my top five destinations in my travel bucket list. They included India, the Netherlands, Italy, USA and Japan and my reasons for wanting to visit each country. Since writing that post we travelled to Venice last summer. Now I just need to visit the other four, ha! I used to travel a lot but these days it's not as easy due to travel costs with a little one in tow and having to plan around school holidays when flight prices are at their highest. However, there are ways to travel for less as well as making any trip as relaxing as possible. As Pip grows he becomes more interested in the world and can already identify many of the world’s famous landmarks, despite only being four! Here are some of the destinations I’d love to take him to. Completed in 1643, the Mughal emperor Shah Jahan commissioned this stunning architectural piece for the tomb of his wife, Mumtaz Mahal. 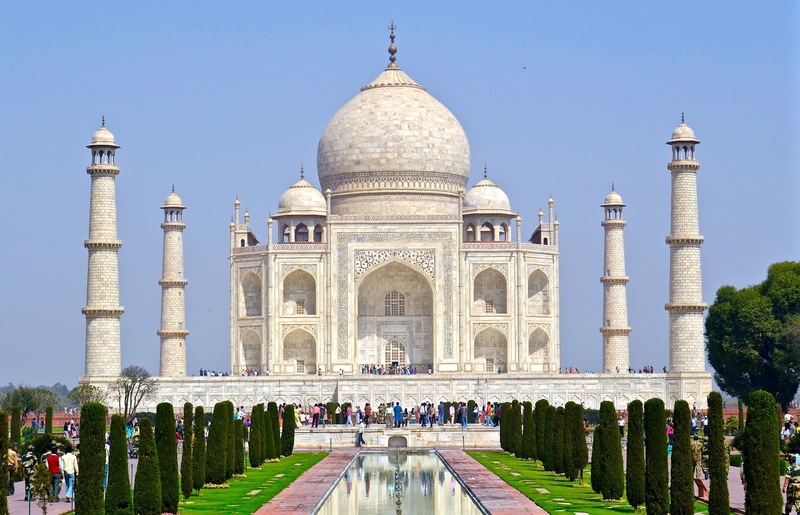 It took 20,000 artisans 21 years to build this white marble mausoleum. I have visited the Taj Mahal a couple of times, as a child and an adult but the last time must have been at least 15 years ago. I see it appear more and more on social media with many travel bloggers making it their top destination and there is a good reason for doing so. It is surreal being there and the story behind building this beautiful monument is romantic and heart-breaking. We last visited India in 2016 but if I ever return I’d love to take Pip to the Taj Mahal! I haven’t visited China and I'm always amazed at seeing photos of the Great Wall. Walls were built as far back as the 7th century BC but most of the Great Wall was built in the Ming Dynasty (1368-1644) to protect its empire. It spans an astonishing 13,000 miles in length! 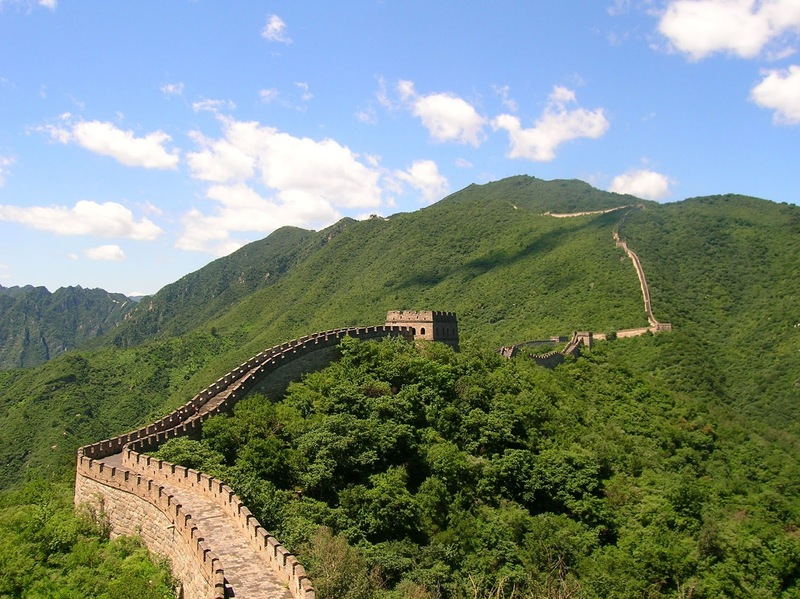 If I do visit China one day, I’d love to spend a good amount of time exploring the country, walking along the Great Wall and seeing the Terracotta Army! 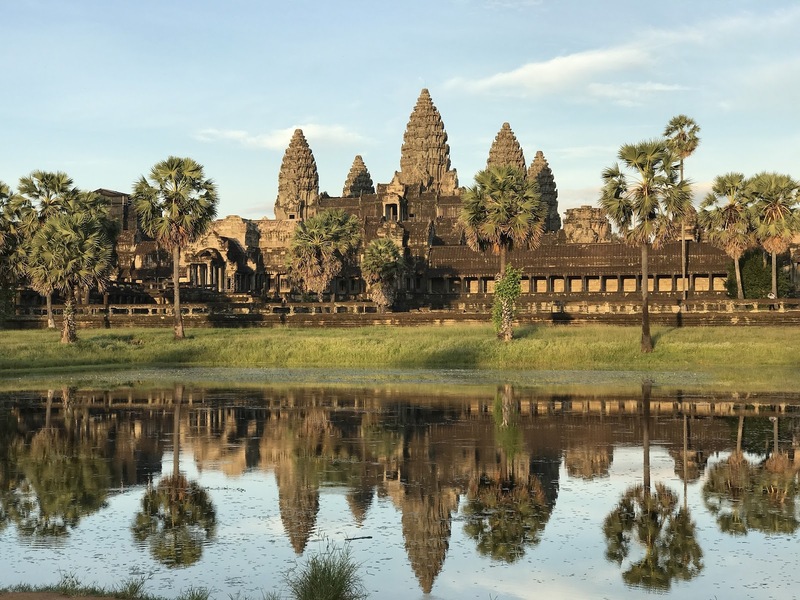 I studied archaeology at UCL as my first degree and like many archaeologists, I have always wanted to visit Angkor Wat! Dating back to the 12th century, this UNESCO World Heritage site is the largest religious monument in the world measuring a staggering 1,626,000m2. 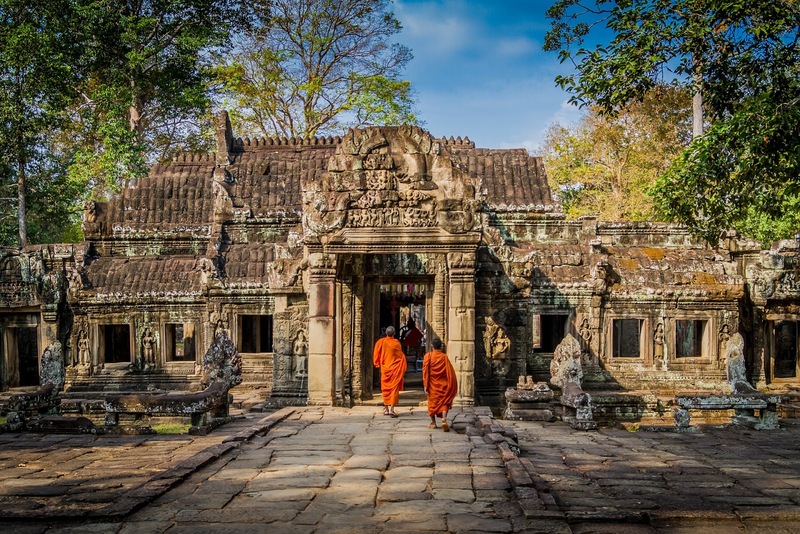 Originally built as a Hindu template to dedicate to the god Vishu it later changed to a Buddhist place of worship. The site is enormous and I’d love to explore it thoroughly one day! I’ve visited Egypt a couple of times, once when living and working in Palestine and also on holiday. One of my archaeology university courses was Egyptology so to visit the country after studying it was wonderful. There is something magical and spiritual about visiting the Pyramids and especially the Valley of the Kings. I remember that spooky feeling when entering the tomb of Tutankhamen – an archaeologists dream! And although all possessions are long gone, being in a tomb with so much history is surreal. 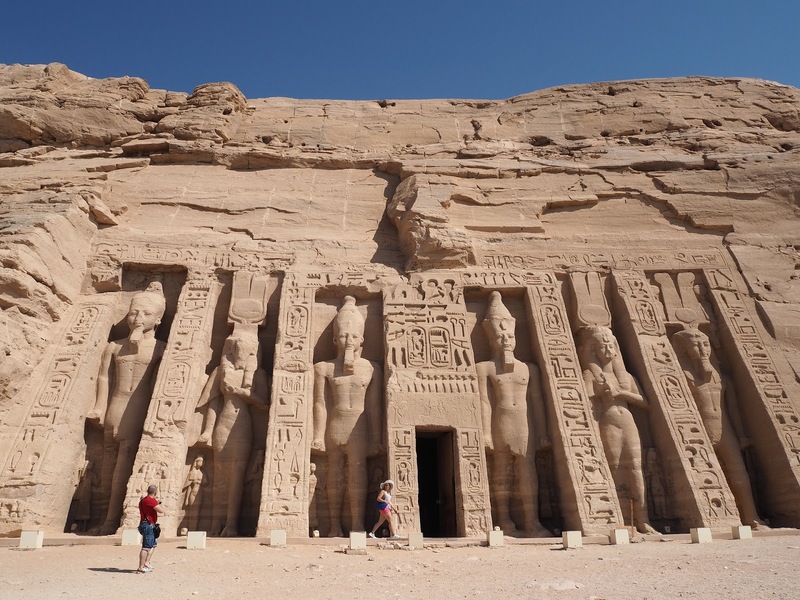 One region I didn’t get to travel to was the Abu Simbel temples, in southern Egypt. Here are the Great Temple of Ramesses II and the Small Temple of Nefertari, both carved out of the rock in the 13th century BC. I'd love to visit and see them close up. I visited Bali over ten years ago now but remember it as such a beautiful island, full of the stunning landscapes and intricate architecture. 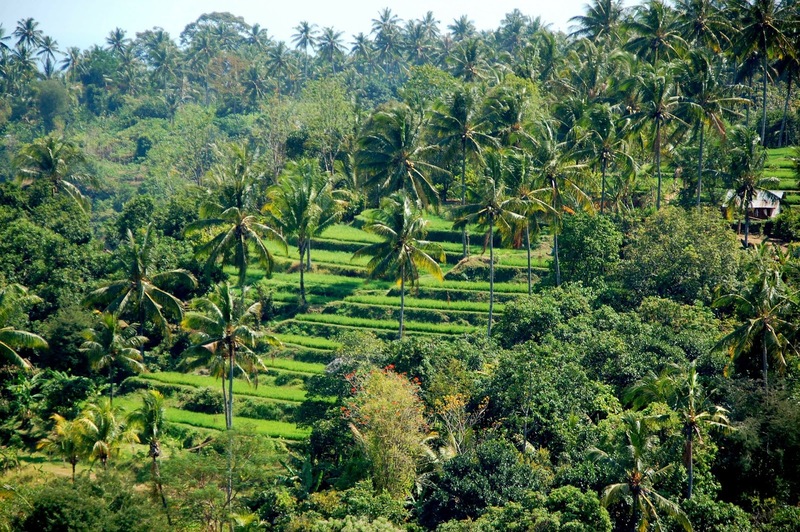 There are so many reasons to visit Bali and along with the beaches, people, temples and food, the picturesque rice terraces are incredible. The Banaue rice terraces in the Philippines are also breath-taking and another place I’d love to return to! Other famous places that stand out in Europe include: Saint Mark's Basilica, Venice; Pompeii, Italy; the Eiffel Tower, France and even London landmarks such as the London Eye and Big Ben! If you’re looking for holiday inspiration or deals have a search on Holiday Gems who specialise in short-haul travel. *This is a collaborative post. All words and opinions are my own! What are your experiences of visiting famous landmarks? Where would you like to visit? I’d love to hear your thoughts! What an experience to live in San Francisco. Exciting about your future travel plans! I adore all your choices , I can say I have been to India the rest I hope to visit one day. Lovely choices, so many places to visit. I need to make a travel bucketlist, there's so many places I need to see.